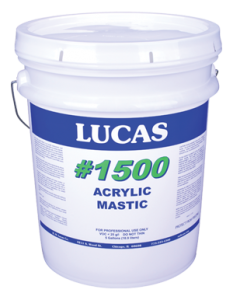 A heavy-duty brushable mastic used to repair roofs and seal fasteners prior to coating with #1000 series acrylic coatings. Available in Gun Grade, Standard or Fibrated. Fibrated available in tan or white.